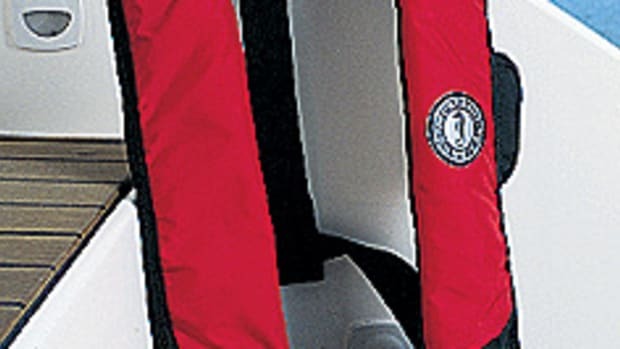 Mustang Survival may have created the first PFD that boaters will actually want to wear. 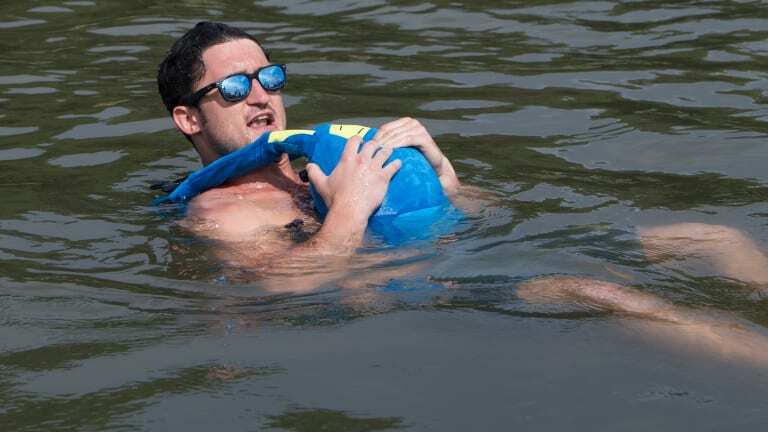 First, let me get something off my chest: I don’t usually wear a personal flotation device (PFD) when boating. 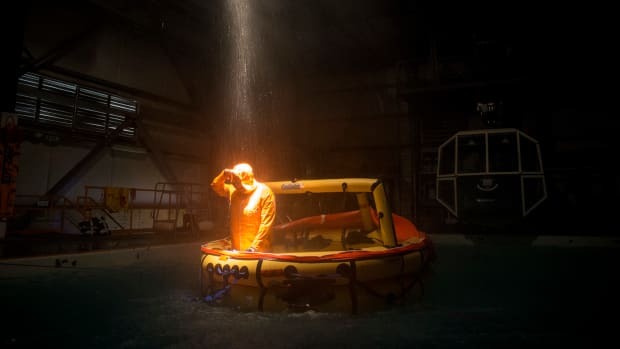 My lack of preparedness is perhaps even more egregious when you consider the fact that I’ve read all the survival stories: the man-overboard, death-defying tales of fisher-men clinging to boots or buoys for days before rescue. Hell, I’ve been to survival school; I know why experts recommend donning a life vest before getting on a boat. 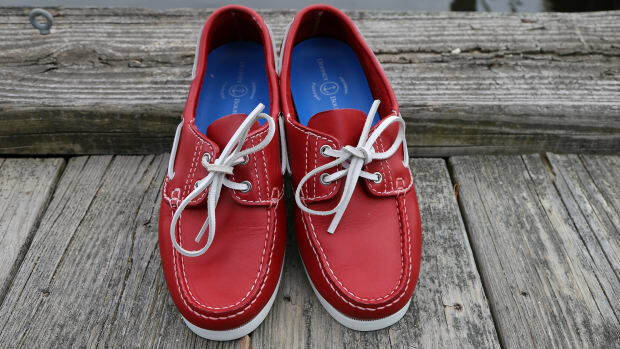 I can even quote a recent statistic from the Coast Guard: 83 percent of drowning victims perished, in part, because they were not wearing a life jacket. But here’s the thing. You and I both know that, unfortunately, none of those things will recalibrate the risk:reward ratio when it comes to wearing a PFD. Let’s face it, many of them are bulky and cumbersome, and they can hinder your dexterity, particularly when you’re at the helm or handling lines. There are a few parents I know who require their children to wear life vests, only to disregard them for their own safety. 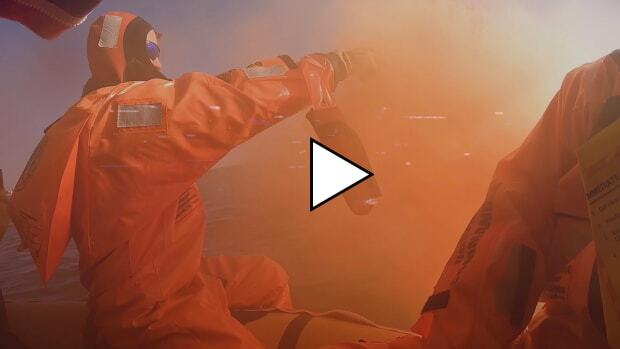 Would a well-designed, multifunctional PFD change their mind? If one can, it’s the new Khimera 22 Hybrid ($200). The -“hybrid” in the name stands for its dual buoyancy: One part is solid foam, the other a manual pull-cord inflator—with a manual inflation tube added for good measure in case the CO2 catridge fails. 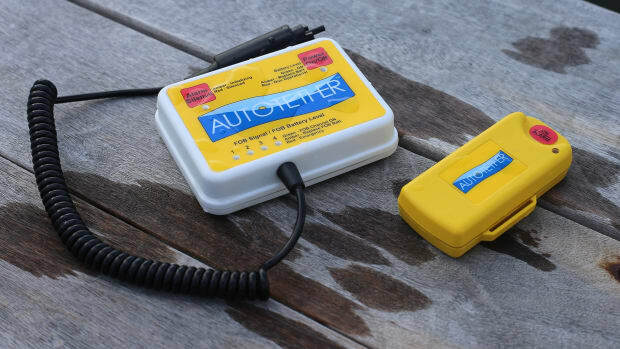 The Khimera is manufactured by Mustang Survival, a no-nonsense, well-trusted supplier of lifesaving products that have been used by recreational and commercial crews for over 50 years. Talk about putting your mind at ease. 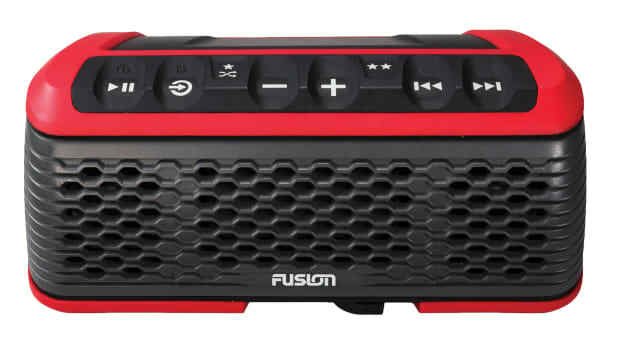 I tested one during a recent cruise to Cumberland Island, Georgia. I wanted to see if it could provide that necessary safety element while simultaneously allowing me to forget I was wearing it. Lightweight with a low-profile design that’s formfitting, the Khimera was comfortable and gave me a wide range of motion when tossing lines or moving about the cockpit. Available in both blue and black, it’s also one of the more stylish PFDs I’ve worn. 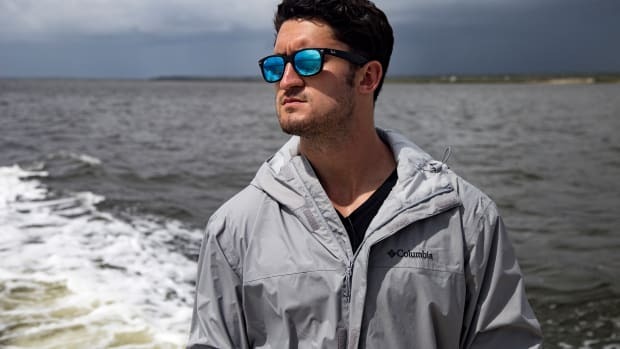 That’s a fact that may sound silly at first, but the cool factor is a deadly serious one to overcome; and a big reason, I assume, why many boaters don’t wear them in the first place. 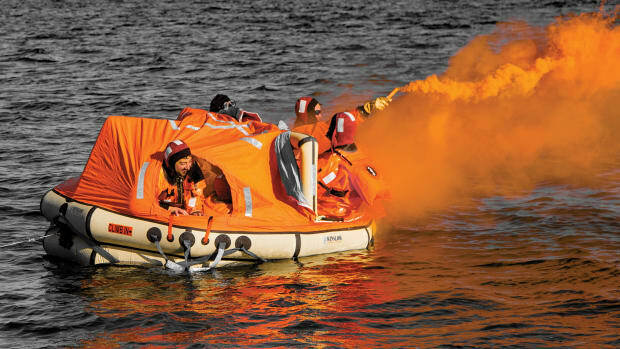 “Safety and Rescue at Sea” is replete with practical tips for dealing with emergencies on the water, but the most valuable insights it offers are about preparation and evaluating risk. 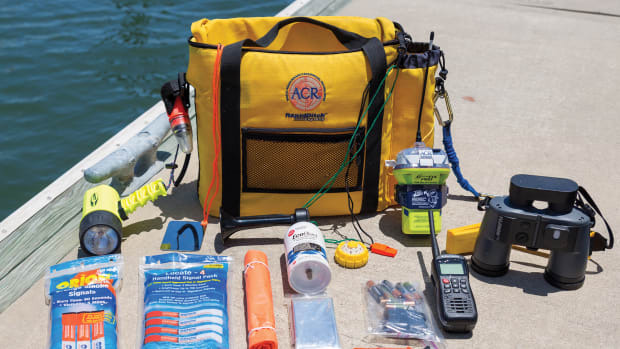 Knowing how to prepare and how to parse danger create a boating environment in which crises are far less likely to happen, and if disaster does strike, the course will have prepared you to cope more effectively.